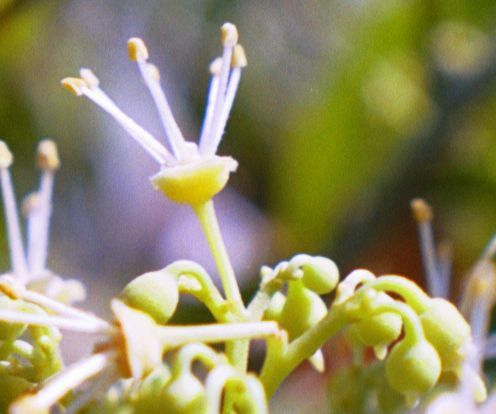 There are three types of flowers of varying distinct sexual forms occurring in lychees. They all form on the same panicle and mature at different times over a two to six week period on most cultivars. Plants that have flowers of both sexes occurring on the same plant are referred to as heterogamous. The ratio of different flower types varies among cultivars and can affect the amount of fruit setting during a season. 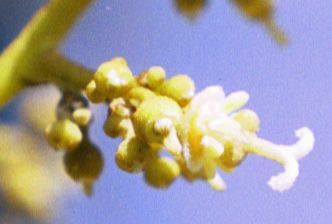 Male hermaphrodite flowers open and shed viable pollen. An hermaphrodite flower is one having both male and female parts in the same flower. The male and male hermaphrodite flowers produce the pollen that fertilizes the females, although the male flowers in the third stage are most responsible for fertilization as the anthers of these flowers tend to shed the most viable pollen. Julia Morton's book Fruits of Warm Climates, suggests that non-viable or damaged pollen may result in abortive seeds. The resulting seed is small and shriveled and often referred to as a "chicken tongue seed". 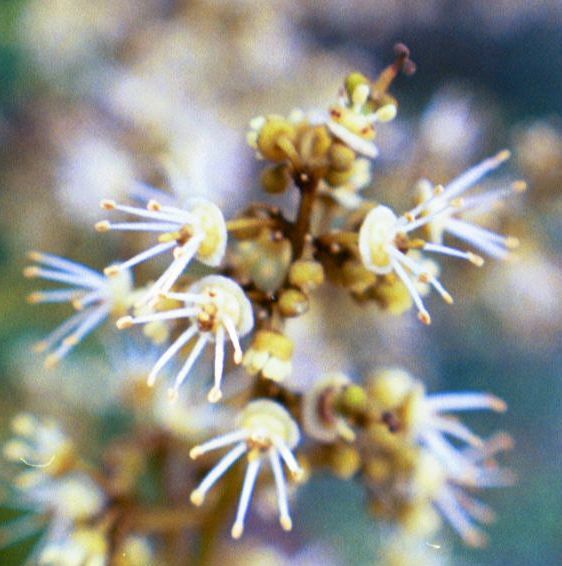 Figure 2a: Male Mauritius Flowers in Full Bloom with Ripe Pollen. 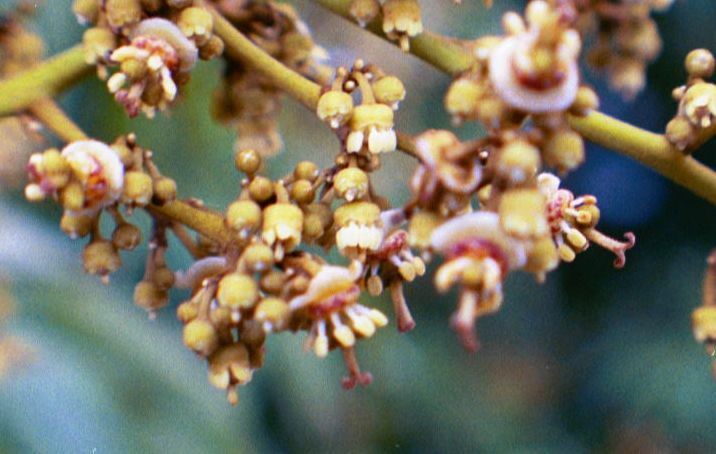 Figure 2b: Male No Mai Tze Flowers with Ripe Pollen and Unopened Females. 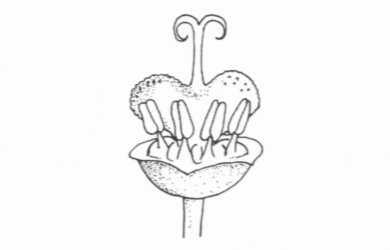 Figure 3a,b,c,d shows fully developed hermaphrodite female flowers with three distinctly differentiated well developed female parts: ovary, style and stigma. You will note the two distinct atria on most of the female ovaries. 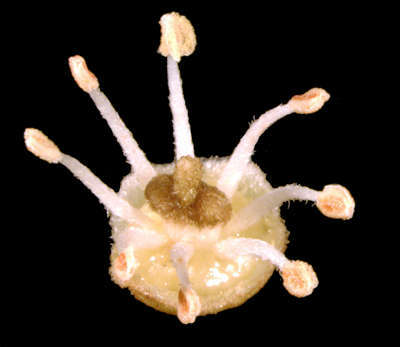 The female flower also has stamen with pollen sacs that never open to release pollen and degenerate. Female flowers usually open in the earlier morning from 7 - 8 am and again in the afternoon between 2 - 5 pm. The stigmatic surfaces are stickiest and most receptive immediately after they open. 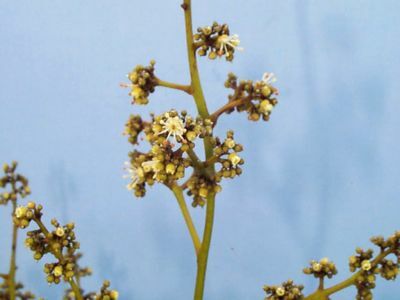 Hermaphrodite male flowers have degenerated pistils (the receptive female part that has a stigmatic surface that receives pollen) with undeveloped ovaries and no stigma on their styles. These cannot form fruits. 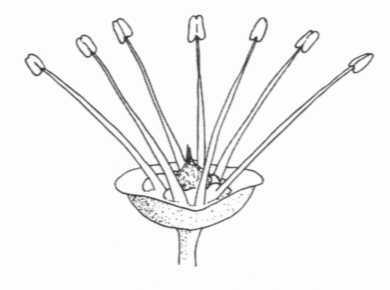 An example of this type of male flower is shown in Figure 4. You will note that the male flower to the left and right of the already fertilized female flower at the top of the photo clearly display the degenerated pistils and undeveloped ovaries. 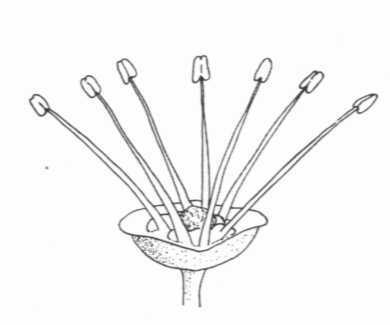 Figure 4a: Hermaphrodite Mauritius Male Flowers with Ripe Pollen - Note the Vestigial Ovary in the Center of the Stamen.